The best way to learn an area is to go there and explore. However, due to distance, busy schedules, and money, an in-person visit isn’t always possible prior to a fishing trip. With that said, you don’t need to go in blind. Thanks to the digital resources we have at our fingertips, e-scouting an area is now an effective way to give yourself a good idea of what to expect. In addition to getting to know a destination before arriving, e-scouting allows you to find new areas you wouldn’t otherwise know about. It’s the ultimate tool for both finding new fishing spots and planning for an upcoming trip. Here, I’ll go over some tools and techniques to make e-scouting for a fishing trip simple and effective. The main two digital tools you’ll need for e-scouting are Google Maps (or Earth) and OnX Maps. Each serves its own purpose, and neither one does it all. 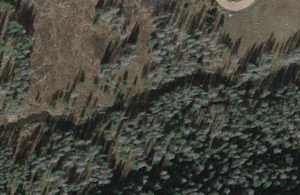 Google Maps is good for getting higher resolution satellite images, searching for locations by name, and looking at topography in 3D. OnX Maps is good for marking waypoints, keeping track of property boundaries, and using layers like trail gradient and roadless areas to plan your trip. 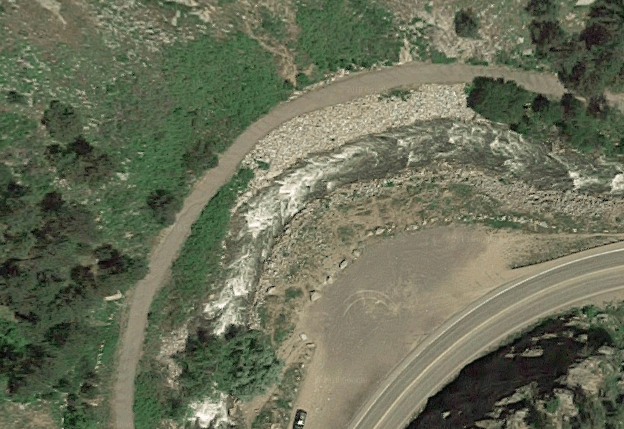 The features that Google Maps provides, like high-resolution imagery and searching, are fairly self-explanatory and don’t need much of an explanation. I will, however, cover some of the unique features of OnX Maps as they relate to backcountry fishing trips, since they aren’t as obvious. 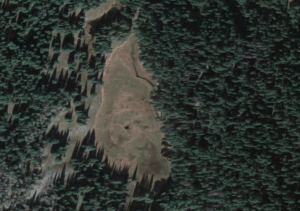 While planning a backcountry trip, private property is always a concern. 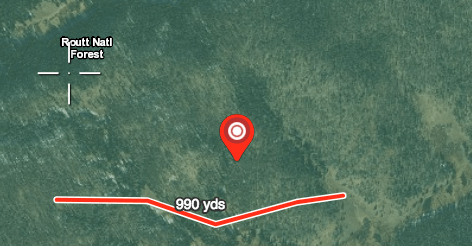 Even if you’re looking to backpack in a large swath of BLM land, there’s always the possibility of accidentally crossing a small sliver of someone’s land. It’s also nice to view property boundaries while you plan, in case water that looks appealing from the air is actually inaccessible. OnX takes the guesswork out, both while you’re planning your trip and while you’re in the field. By downloading areas before the trip, you can see your location even without phone service. They make property boundaries easy to distinguish and even give the landowner’s name. There’s no point to poring over maps as you plan if you aren’t able to mark things down. OnX has a nice set of tools to use for marking waypoints, including symbols, lines, and shapes. Drawn lines display their length, which is extremely helpful for estimating distance. Waypoints are great for lakes, rivers, campsites, or places to park. Once again, these will come in handy both at the desk and in the field. 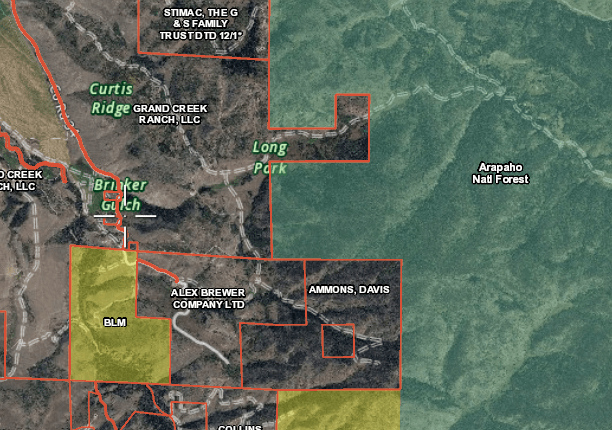 OnX has a variety of layers to use with their maps. Which you use will depend on what you’re looking for on your backcountry fishing trip. Their roadless layer, for example, shows which areas are farthest from roads. This is helpful both to someone who’s looking for quick access from their car, as well as someone who wants to get away from the crowds. Other layers, like trail slopes and mileages, allow you to pick hikes that fit your ability level and length of trip. Active wildfires is also a useful one, for obvious reasons. There are quite a few layers to browse through, so make use of any that will help you decide where you’d like to go. 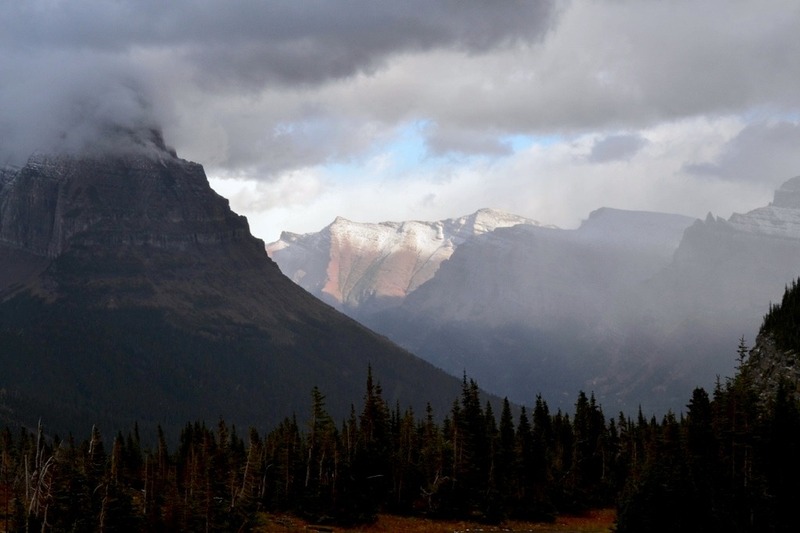 The roadless layer is useful for those who want to get off the beaten path. 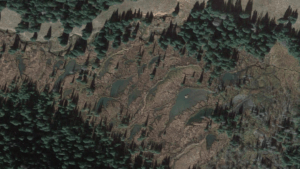 Without a report of fish from someone else, or first-hand experience, there isn’t a sure way to tell from aerial photos whether a backcountry body of water contains fish. While many do, there are also plenty that look like great habitat but just don’t have any fish. While you’re trying to decide on a destination, there are a couple steps you can take to up your odds of finding fish. If you’re going somewhere that has a name, you may be able to find out whether there are fish there. 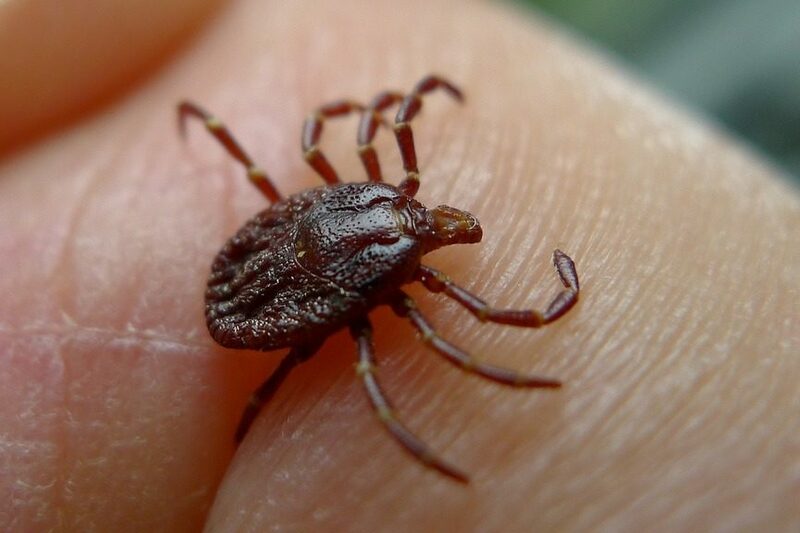 Sometimes this will be on a state fish and game website, but for the more remote places, forums might be your best bet. There can be multiple bodies of water near each other with completely different populations of fish. They might have different species, or one may have fish while the other is barren. If you’re taking a chance and going in blind to explore a new spot, consider picking somewhere that has multiple bodies of water to up your chances of finding fish. 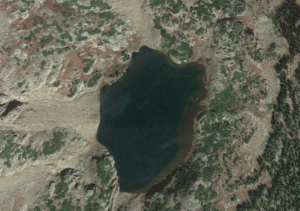 Although there are no guarantees, one way to narrow down your backcountry lake options if you aren’t sure of fish populations is to look for lakes with an inlet, an outlet, and deep enough water. Lakes with no consistent inlet and outlet often aren’t able to support the same populations of fish that lakes with these features do. While it’s entirely possible to have a barren lake that has both an inlet and outlet, avoiding stagnant ponds with no flow will probably weed out a lot of empty water. Lakes also need to have deep enough water to not fully freeze over during the winter. Fish won’t be able to survive a winter in a lake that freezes solid. 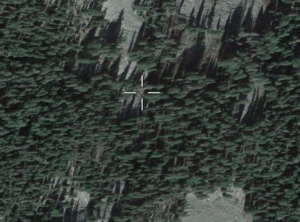 Nothing beats on-the-ground exploration, but you can infer a lot about a place from aerial photos. Even if there are fish in a body of water, you need to make sure the water is accessible and easily fished. 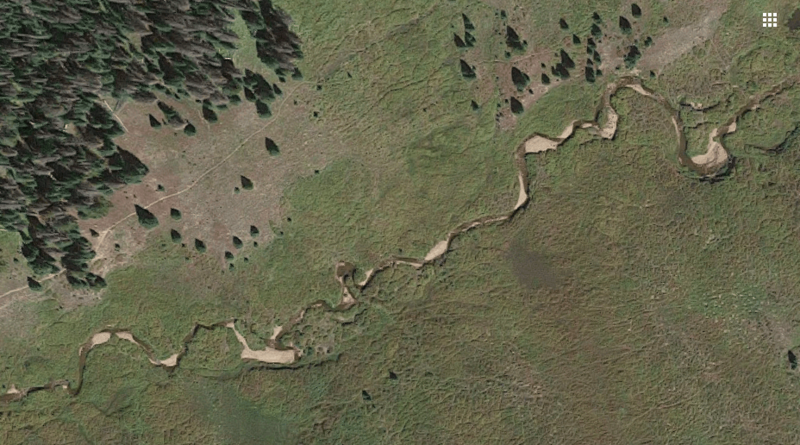 In the photo below, there are sand bars alongside deeper runs, undercut banks, and sharp bends. The river also flows through a field, so no pesky trees. Not only might the river hold trout, but it looks easily accessible and fishable. While most larger rivers will hold fish, look for areas along them with enough features to make the fishing more targeted. On this river, there are multiple channels, a tributary feeding in, and rapids followed by a slower, deeper run. This might be a good spot to check out. 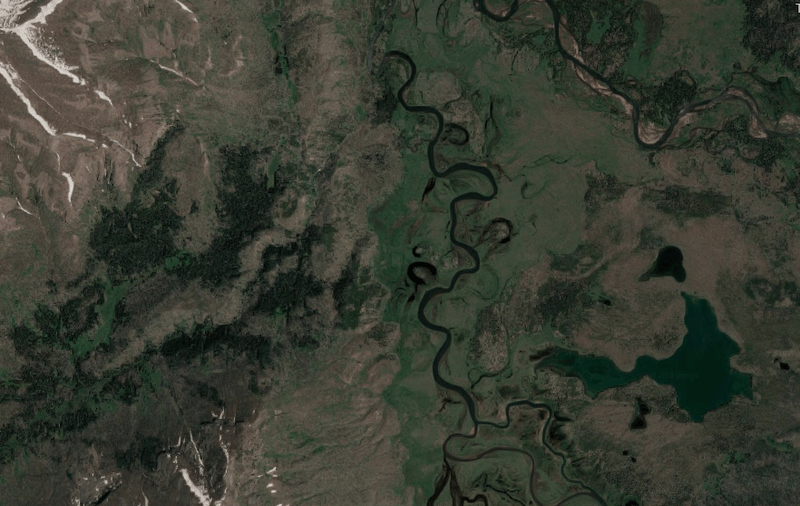 You may find a river that looks promising on a topo map, but without checking the satellite images, it’s possible to miss important information. The river below flows through a canyon and almost certainly contains fish, but fishing it in this spot could be a pain. In addition to deciding whether a location looks accessible, try to notice other features that might help you out. This lake has a very visible shelf that drops off into deep water. This lets you know that it’s a good idea to bring waders, since you may be able to wade out fairly far. A steep drop off with no shelf may mean fishing from shore, or clue you in that a belly boat might be handy. Shelves are something to keep an eye out for. Comparing maps, especially topo and satellite views of the same area, is a crucial part of e-scouting. 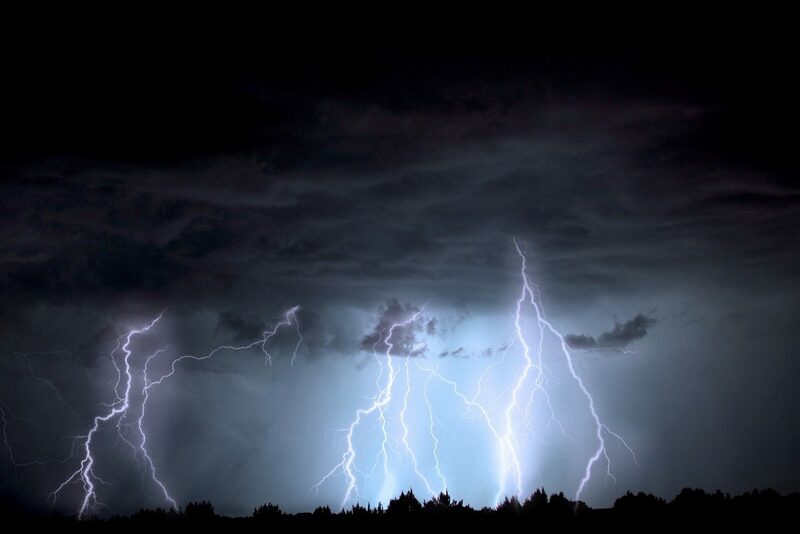 Each serves a purpose, and they often rely on each other to give a complete picture of what’s going on. 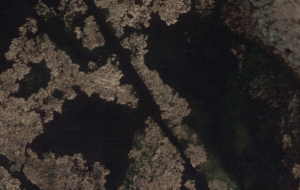 The sets of pictures below are the same view, one with satellite imagery and one without. 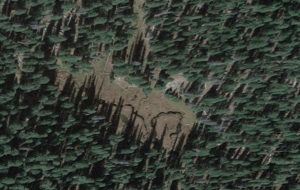 Sometimes the satellite view is more useful, and sometimes the standard Google Maps view is better. 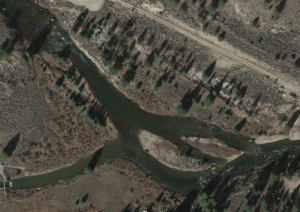 A river that’s visible on the standard map could be missed if only using satellite imagery, since it’s obscured by the shadow of the trees. 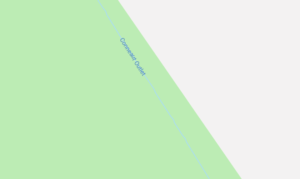 Here, what appears on the map to be only a stream is actually a wetland with a network of channels, land, and vegetation. 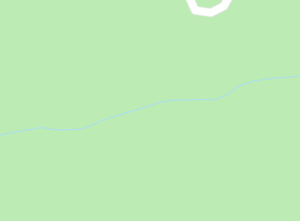 This stream just doesn’t show up at all on the map. Same here. The entire area of water is blank on the map. 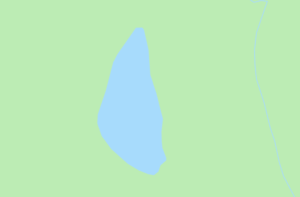 Or the opposite, a lake that existed at one point (and still shows on the map) is now empty. 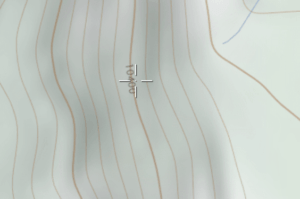 Here, a topo map (available on OnX) is necessary to see that what appears to be a level forest is actually a fairly steep slope. Even though most of your time e-scouting will be spent looking at water-specific features, don’t forget to consider the landscape as a whole. A good example is slope. North-facing slopes stay darker and cooler during the day. This means the fishing strategies on these waters may be different from south-facing areas, where the sun rises early and warm. Additionally if you can’t zoom in close enough to see the features of a stream, you can assume there may be rough water if you see it descending down a steep ravine. Also consider the fact that you can use known waters to find new waters. Maybe you’re familiar with a busy river, but don’t want to deal with the crowds. Try looking for a tributary. These feeder streams probably hold the same species of fish as the larger river, without the heavy fishing traffic. E-scouting will allow you to identify these streams, as well as plan your trip to them. Have a success story that was planned with e-scouting? Let me know in the comments! Fish Untamed © 2019. All Rights Reserved.